Multicultural competence research papers discuss an important part of any professional practice; a diverse settings which can facilitate culturally competent social work practice. 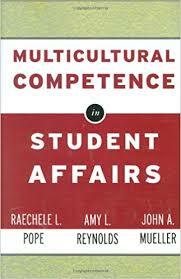 Multicultural competence has been noted to be an important part of any professional practice, however, in many cases, this process is one that is not pursued by professionals. Research paper writers argue that in many instances social work professionals do not have the education and training necessary to provide culturally competent care. Noting the specific root cause of this problem, research contends that a lack of cultural competency in the social work profession stems from the fact that, “social work education places too much emphasis on the need for therapy and not enough emphasis on the need to understand cultural differences in behavior…”. Using this as a basis for professional development, it is clear that professionals should consider some degree of training or development that would all for multicultural competency. Because the issue of multiculturalism has become one of paramount concern for the proper delivery of social work services, there is a direct impetus for the professional to better understand the process of cultural competence and integrate this process into practice. If the educational program used by the student does not include cultural competence as part of development, the student must take it upon him or herself to seek out supplemental programs or classes that can provide appropriate training in this area. For social workers with established careers, further education in the area of cultural competence would also facilitate this end. In addition to gaining more multicultural competence training, researchers have also argued that hands-on experience in diverse settings can facilitate culturally competent social work practice. According to one source, “The worker achieves cultural competency after developing cultural awareness, mastering knowledge and skills, and implementing an inductive learning methodology”. These authors go on to argue that these skills can be acquired through both education and hands-on training in multicultural environments. As such, the development of practice through training is necessary to ensure that the social work professional is able to deliver culturally competent care. If the professional is to develop a high level of cultural competency, he or she must be willing to undertake training in a wide range of diverse populations. While the education program chosen by the professional may provide opportunities for growth in this area, if this is not the case, the professional will have to challenge him or herself by working for different organizations that serve diverse populations. This can take place as volunteer work, such that the student can garner a more integral understanding of the differences that can occur in practice as a result of cultural diversity. For the seasoned professional, volunteer work in various organizations may also help to facilitate a broader understanding of the implications of cultural competence in the practice of social work. When framed in this perspective, it becomes clear that the professional must take considerable responsibility for his or her professional development. Although the professional may be able to garner the support and help of the organization in securing more training or education, the social work professional needs to keep abreast of changes in practice, such that recommendations for improvement can be made to the organization. This is true even if the professional is still a student. In this context, it becomes clear that the development of the social worker is a process that must take place on an individual level. As such, the professional must take the necessary steps to ensure that he or she is able to meet the needs of current populations and that proper service is being provided to all clients. Unfortunately, at the present time, education in the field of social work is not advancing as fast as what is needed in practice. For this reason, professionals need to understand changes in the profession, seek more education and experience with new issues and lead the profession in developing new protocols for education and training of future professionals. Clearly, this places a heavy burden on social work professionals. However, given the ever-evolving nature of society and human discourse, it only stands to reason that changes in the context of social work practice will be necessary in order to ensure the competent delivery of services to all patients. Only with a consistent framework for change in place, will the practice of social work improve. Multicultural Content is important in education in order to incorporate a well- rounded student experience. Diversity Healthcare addresses the differences and the similarities of a diverse group of patients in society. Ethnic Minorities research papers overview the sociological group that is differentiated by the majority power structure of a society. Multicultural Psychology - Multicultural Psychology research papers look into the systematic examination of human behavior, cognition, and affect in situations where individuals interact. Social Welfare - Social Welfare Research Papers look at an example of an order placed for a problem statement and literature review of a research proposal. Social Work Methodology - Social Work Methodology Research Papers discuss a sample of a paper that is written placed for graduate level services. Paper Masters writes custom research papers on multicultural competence and discuss an important part of any professional practice; a diverse settings which can facilitate culturally competent social work practice.